Here is yet another 80s one hit wonder to add to our collection. The debut solo single by Maria Vidal was the theme tune to the film of the same name and reached #11 in the UK singles chart on 22nd Sept 1985 for one week. It was also a #8 hit on the U.S. Dance Charts, although was only a minor hit on the Billboard Hot 100, peaking at #48. Body Rock was an 80s synthpop tune that had a production style very typical of the time. It reminds me very much of some of Madonna's early hits, although, dare I say it, Vidal's voice sounds better to my ears. Sadly, Vidal's follow-up singles were all commercial flops. So what about the movie? Well, it is basically about a guy from the streets called chilly who is a talented break-dancer and makes the big-time. The lead role was played by Lorenzo Lamas who also sang on the track Fools Like Me. He was also nominated for a Golden Raspberry Award for the worst actor and the film itself was critically slated. Maria Vidal developed a knack of associating herself with films that a bit of a turkey. In 1985, she had a role in the comedy horror Once Bitten, which starred Jim Carrey before he became famous. Vidal played the member of a high school band and sang two songs on the soundtrack. The film was slated by critics, although has since developed a cult following due to Jim Carrey's fame. Before her solo career, Vidal was a member of the band Desmond Child & Rogue. Her self-titled debut album which was released in 1987 included a song written by Desmond Child entitled Do Me Right. 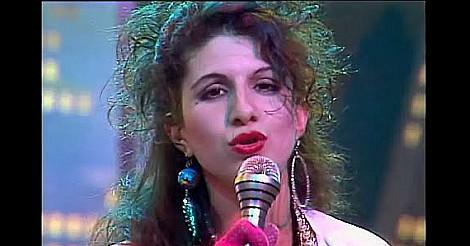 During the 80s, Vidal was also a backing singer and you can hear her voice on Stevie Nicks 1985 song I Can't Wait. She also co-wrote the song Summer Rain (with Robbie Seidman) for Belinda Carlisle in 1989. The song was a Top 30 hit during 1990 in both the U.S. and UK. 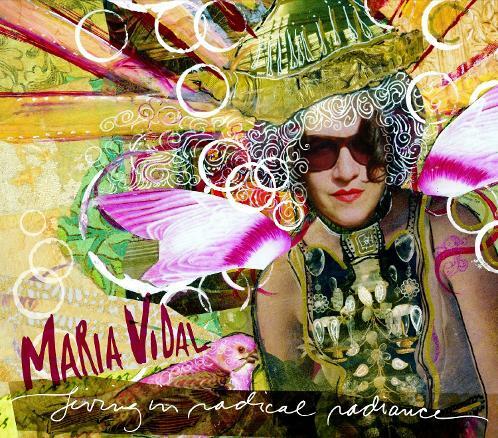 Maria Vidal's most recent work is the album Living in Radical Radiance which she released in 2009. The sleeve photo for the 7 inch vinyl single and this "Special Long Version" 12 inch were identical.